Training Background: J.R. has multiple sports performance related certifications, including ACE, USA Track & Field, and Athletic Republic’s Exercise Science certification. He is also a member of the National Strength & Conditioning Association. J.R. has been training athletes for the past 8 years, and has studied extensively with Westside Barbell’s “conjugate training”, Russian block periodization, and USA Track & Field. 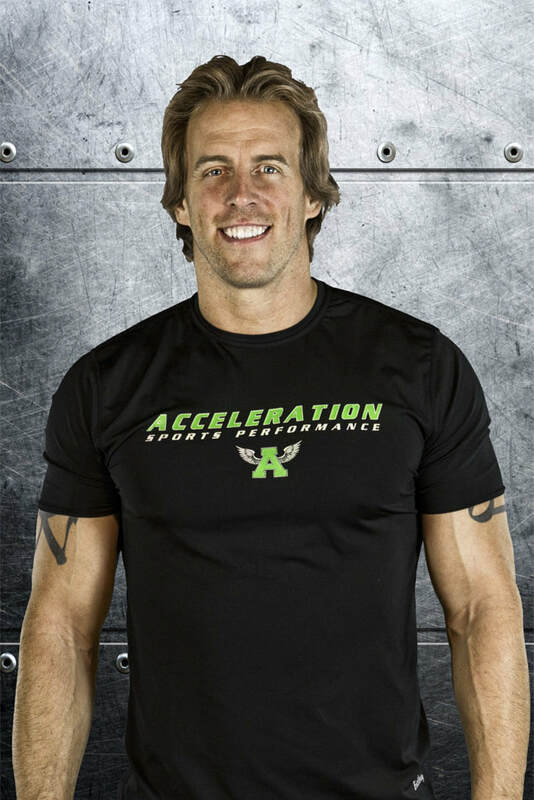 J.R. started training with Acceleration at the end of his 8th grade and continued with the Acceleration program for 15 years until he eventually became the Director of Acceleration Naperville. Professional: While others were training at professional combine training facilities in preparation for the NFL Draft, J.R. trained himself in Macomb Illinois and posted amazing numbers. At 6’3”, 245 pounds, J.R. ran a 4.48 40 Yard Dash, 3.92 Pro Agility, 6.57 L-Cone, a 10’8” broad jump, a 42” Vertical Jump, and repped out 225 pounds 28 times in the bench press (Western Illinois and Ohio State‘s Pro Days). In 2002, J.R. signed a free agent contract with the Seattle Seahawks practice squad. During week 3, the St. Louis Rams picked J.R. up to the active roster due to the retirement of Heisman Trophy Winner, Eric Crouch. J.R. spent the rest of the season on active roster for the Rams and was called the “NFL’s Fastest Fullback” by then St Louis Rams coach Mike Martz. J.R. continued to play 6 years in the NFL as a reserve fullback and special teams player also with the Oakland Raiders, Kansas City Chiefs, and Cleveland Browns. J.R. also played in NFL Europe where he won a NFL World Bowl Championship, scoring the game’s last touchdown to cap off the victory. During last season, he was a lead blocker for Roger Robinson who owns the NFLE record for rushing yards in a season. J.R.’s NFLE Reebok jersey is currently the highest selling NFLE jersey of all time. Throughout his career, he has trained and played with NFL Hall Of Fame members Jerry Rice, Rod Woodson, and John Randall, and future NFL Hall Of Fame members Randy Moss, Tony Gonzalez, and Marshall Faulk. College: J.R. originally signed onto The Ohio State University to play football and run track. As a freshman, J.R. ran a personal best 20.9 200 meter dash. After his freshman year, he transferred to Western Illinois University to focus entirely on football. As a Leatherneck, J.R. was a 3 time All-American, leading the nations tight ends in multiple categories, multiple years. J.R. was recently named to the All-Time Missouri Valley Team, joining Kurt Warner, Rodney Harrison, and Naperville Central Alum, current New Orleans Saints Coach Sean Payton. High School: J.R. was a 4 sport athlete in high school playing football, indoor track, outdoor track, and baseball. He earned All-State and All-American honors his senior year in high school for football and track and was a national standout 400 and 200 meter dash sprinter, placing second in the nation in the 4×400 relay, and boasting one of the fastest 200 meter dash times in the nation. More information on Acceleration Sports Performance website.